The Smoke Haus specialty: Barbecue. This restaurant is designed to have meat lovers in heaven. The Smoke Haus has a special mix grill which will challenge any macho dad. 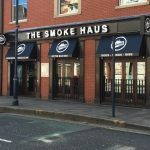 The Smoke Haus has an amazing atmosphere, it’s set in an American theme so maybe if only for an hour, take your dad on a little trip. P.S you can even control the music via the website. 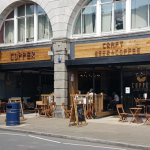 Don’t forget you can get yourself 10% off with the Swansea Loyalty Card. Click here to visit the copper bar’s Facebook page! Moustache is one of the most established men’s fashion boutiques around. 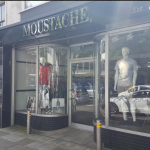 Moustache’s style has always been to create a unique brand mix keeping generations returning to its Swansea store. Always remember quality never goes out of fashion. Especially when it comes to dad! So, if your dad’s a designer dad pop down to this boutique to find brands such as Ralph Lauren, Lyle & Scott and Tommy Hilfiger. 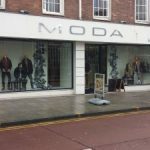 If you dad deserves that extra special treat this year then Moda is the place you need to visit! Moda Collection specializes in designer brands such as Armani Jeans, Stone Island and Versace. Moda is a big spender shop but fathers day only comes around once a year! To look at some available products click here! Now, this brand is for the on point dads! If you dad likes to keep up with the new trends, maybe he likes to copy your style? Take a visit to Reverse- you’ll find brands such as SikSilk, 11 degrees, and Gym King. These brands are the latest trends on the market. 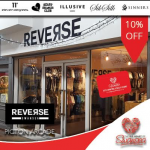 As part of the Swansea Loyalty Card, Reverse is offering 10% off their products when you shop in store. Now that is perfect get your dad a gift and also save some money! Doesn’t every dad deserve a treat and what’s a better treat than smelling nice? There is an amazing range of fragrances in stock at both shops which you can also smell before you buy! Both shops are also offering a fantastic 10% off with the Swansea Loyalty Card. To find out more about the 10% off at The Fragrance Shop click here and The Perfume Shop click here! 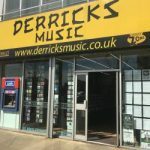 Card Derricks Music is giving 7.5% off! To find out more information click here! If your dad is a more personal type of man why not cook him a meal? If you want to spend some quality time with your father visit Billy Upton’s Butchers and get him a juicy steak! Well, that’s just a lovely idea. What’s better is that there is 10% off with the Swansea Loyalty card! Click here to find out more. A famous welsh tradition, is your dad a fan? Maybe a player? Either way, the Rugby Heaven is the place for you to spoil your dad. Right now Rugby Heaven has a fantastic 10% off with the Swansea Loyalty Card. Rugby Heaven supports a variety of clubs including international and Rugby Leauge! Whichever club your dad may support we have a variety of perfect gifts in stock! Do you like the idea of taking your dad for an evening out in Swansea? or maybe an afternoon meal? Why not include the Grand Theatre into your plans and make a day of it! The Grand Theatre is offering 2 for 1* with the Swansea Loyalty Card, this means you only have to pay for Dad your ticket is free. ( *Offers on selected shows and dates, click here for more information). For details of all upcoming shows at the Grand Theatre visit the website here! !